Hair Loss Due to Hyperthyroidism – What You Should Know About It? Hyperthyroidism is a certain medical condition in which our thyroid gland becomes overactive and produces much more thyroid hormones i.e. triiodothyronine (T3) and thyroxine (T4) than needed. Several researches have proved that this sudden hormonal imbalance can result into acute hair loss. Let us explore the whole matter. How Hyperthyroidism is Related to Hair Loss? There are a few specific forms of hyperthyroidism that cannot be diagnosed early. 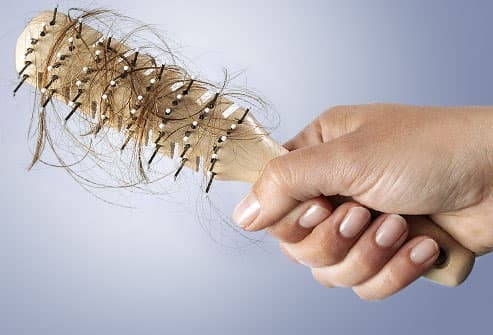 It is the excessive hair fall, which becomes noticeable after several months of the beginning of the disorder and let the person identify the actual problem. Only acute and long-term thyroid disorders can trigger hair loss this way. However, hair loss caused by hyperthyroidism can be cured successfully and regrowth of hair can be promoted with long consistent treatments. 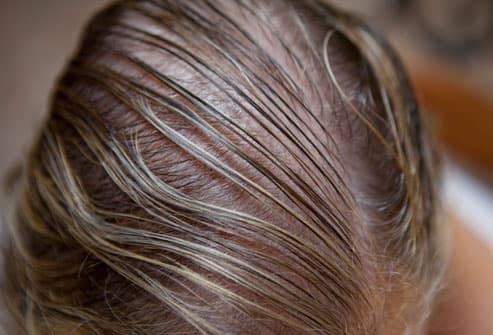 The oversecretion of thyroxin hormone is known to prompt a scalp disorder called ‘Telogen Effluvium’, which affects our normal hair cycle and eventually results into severe hair loss. Usually, the hair growth cycle is divided into three phases – ‘Anagen’ (growth phase), ‘Catagen’ (transitional phase) and ‘Telogen’ (dormant phase) and only 5-15% of our hair follicles remain in the ‘telogen phase’ at a certain moment. But while suffering from telogen effluvium, the timing of our hair cycle gets altered and a huge amount of our hair follicles enter the telogen phase. As a result, we experience excessive hair fall. It is our scalp, which gets affected by telogen effluvium the most. But you can never point out a discrete area on it. Rather, the effects are seen throughout it, which makes the hair look evenly thin. However, those who suffer from autoimmune thyroid diseases face an autoimmune condition called ‘alopecia areata’. It is characterized by discrete hair loss, which is transient by nature and does not increase with time. It leaves circular hair-less patches on the scalp and sometime might even result into complete baldness. Te hair thinning caused by hyperthyroidism is mainly experienced during combing or washing the hair. The shafts become so brittle that even gentle manipulation can lead to significant shedding. You may also find bunches of hair strands on your cushion, pillow or bed. At first, consult with your physician as it is important to recognize the actual reason as well as type of hyperthyroidism before starting any sort of treatment. The treatment majorly depends upon the severity of the problem, the physical condition and the age of the patient. There are more than a few treatments available for this purpose. Some of them include intake of vitamin and mineral supplements, increasing calorie intake in daily diet, radioactive iodine therapy, anti-thyroid drugs like carbimazole, propylthiouracil, etc. and even surgery. It takes at least 6 to 8 months to notice any visible result and it might take more or less 1 year to get back to the previous position. Hope the information helps you take a well-informed decision about your hair loss treatment.